If you are looking for a uniquely fun and exciting family camping vacation, then look to Lake Monroe camping at Jellystone Park in Bloomington, Indiana. 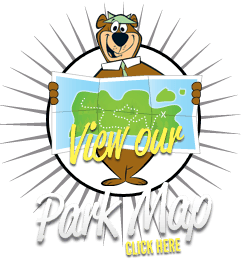 Our family park offers a variety of options from primitive wooded tent sites to large pull thru Lake Monroe camping sites. While camping at your Lake Monroe Campsite you will appreciate the well-manicured sites that include a fire ring and picnic table. 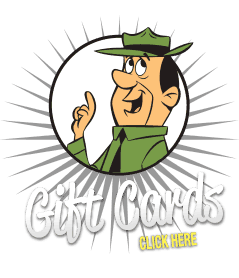 Our primitive camping sites are secluded and wonderfully nestled in the trees. These beautiful sites are also close to the bathhouses and a hot shower. 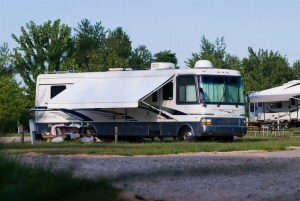 Most of our RV sites can accommodate any size rig, including the biggest units on the market today plus a tow vehicle. All of our full hook-up camper sites offer 50/30 amp and for those of you who just can’t unplug, we just added new and improved Wi-Fi throughout the camp resort. We are proud of our award winning recreation program and staff where family fun never stops. Join us for planned activities such as arts and crafts, games, tie dyeing and more. For those of you who would like to add to this fun, Lake Monroe Campsite has an interactive water feature with 2 slides, water cannons and a spray playground. In addition, we have a pool, kiddie pool, jumping pillow and playground. Our new “gaga pit” and basketball court are ready for some new challenges. 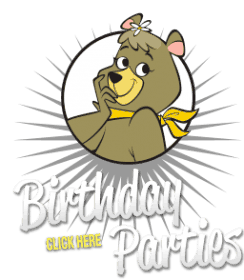 Our favorite “Bears”, Yogi Bear™ and his friends Cindy Bear and BooBoo are often out and about giving “free Bear hugs”. 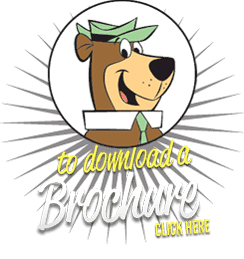 You may even want to catch a wagon or train ride around the campground with one of the “Bears”. Our friendly and courteous staff is here to assure a good time is had by all when camping at Lake Monroe Jellystone. 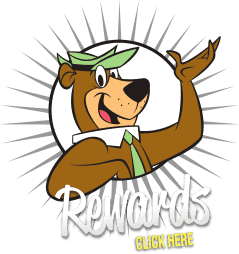 Our store is stocked with Yogi Bear™ souvenirs, T- shirts, toys, grocery items and camping equipment. 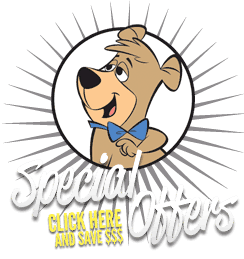 The Cartoon Café offers a selection of light meals, snack items, ice cream, smoothies, drinks and slushies. 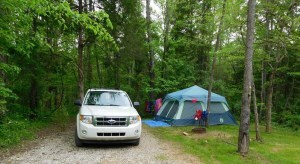 Plan your vacation this year or just a weekend and experience Lake Monroe camping at its very best. Our park is waiting for you and your family to make new memories that will last a lifetime. Make your reservation today!